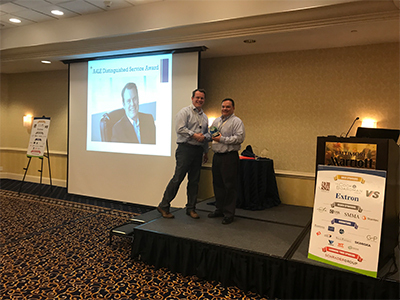 The Edward Kirkbride Award is bestowed upon a project that exhibits exceptional strength in each of the judging criteria. When Scituate Public Schools embarked on their journey to repair or replace the aging existing intermediate school, there was uncertainty about where that journey would take them. 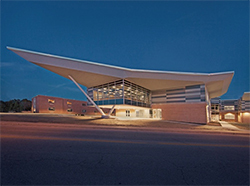 Ultimately, they developed both a new educational vision and a future-ready facility to support that new vision. How do you transform the brutal into the beautiful, the rigid into the flexible, the imposing into the inviting? 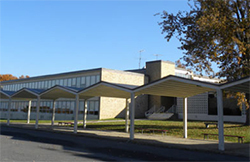 These are the questions we had to answer in our approach to renovating Winchester High School, an example of 1970s Brutalist architecture serving 1,370 students in a bedroom community situated approximately twenty minutes northwest of Boston. 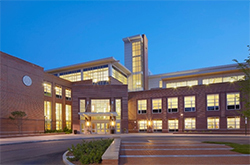 The Andover Bancroft project demonstrated a forward-thinking planning process and design solution. 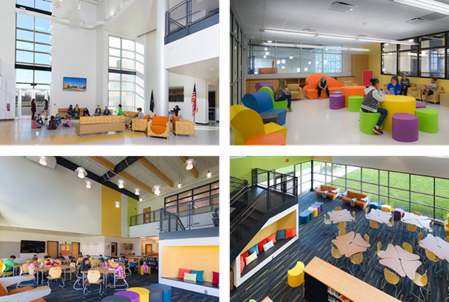 The interior learning environment included a variety of instructional spaces with a great deal of flexibility. Grade level classrooms are visually and physically connected to an adjacent learning commons and small group pull-out spaces beyond. 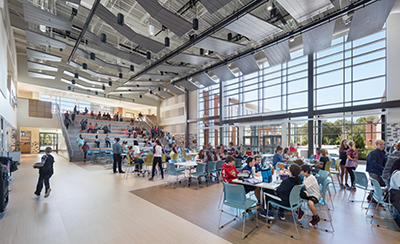 Folding glass walls between these spaces give teachers and students the alter the learning place at any time. Similarly, the project demonstrates exceptional environmental stewardship by not only restoring wetlands, but also by making the site available as part of the learning experiences of children. Jurors comments about the project included, "...a project worthy of the Kirkbride award..." "A creative solution for the 21st century and beyond." The Hajjar STEM Center project is an elegant and effective solution to a common educational challenge, how to integrate the STEM disciplines in an experiential and meaningful way. Its planning process was comprehensive, involving research, school tours, and visioning with a wide variety of stakeholders. 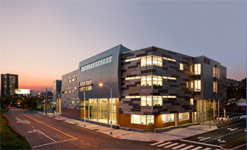 The learning environment, itself, provides students with a sense of being in a high-tech start-up. 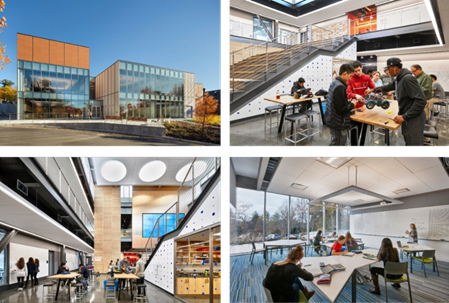 Gensler's final design is a success on many levels, but most notably because it has positively impacted the way students learn. 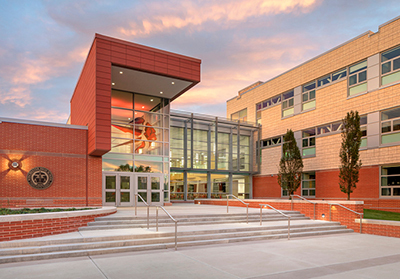 Bristol Town School District was faced with a daunting challenge: how to improve its nine aging elementary schools quickly and cost-effectively. 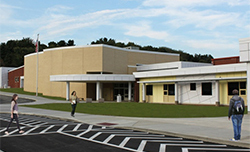 Mill Creek Elementary School was part of the District's solution to consolidate nine small schools into three larger ones. Planning for the project organized the building into two schools-within-a-school, one K-2 and one 3-5 with shared functions between. The project also demonstrates the successful concept of every space as a learning space. Having such a wide variety of spaces available for learning allows teachers and students to choose spaces the best align with the activities of the day and students individual learning preferences. Click here to view project images and learn Juror comments. 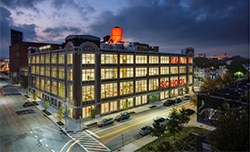 This year's Northeast Region Exhibition of School Architecture and Planning was a great success. We received 13 submissions. 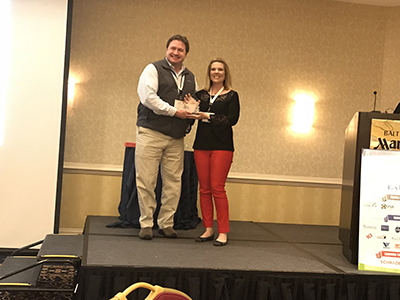 4 projects were recognized with awards. This year, in an effort to encourage more participation and ensure rigor and accountability, we formed a committee to review the process and participate in the jury. 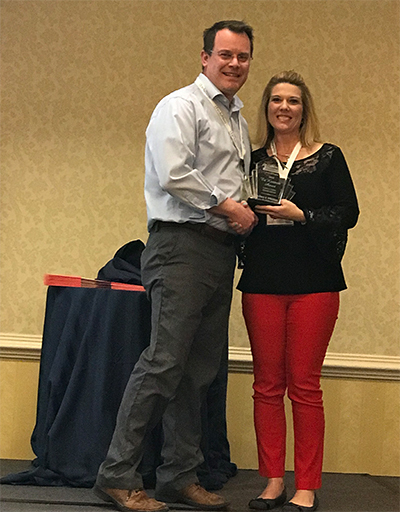 The committee members included: Phil Conte, Jeff Davis, Pam Loeffelman, Mike Corb, and Jason Boone. The committee decided to follow the submission requirements from the Association in order to provide consistency and to encourage submitters to send their projects for consideration in the International Awards program. All committee members participated in the jury and we were joined by two guests from other regions: Troy Glover, from the Midwest, Great Lakes Region and Christina Lighthall from the Southern Region. Their participation in the jury adds a level of accountability to the process and we thank them and all of the committee members for their efforts! "This is a grown up building with a child's sensitivity. 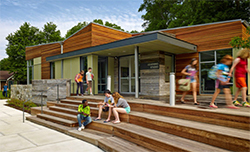 The building is open and transparent with wonderful natural light throughout the building connecting the small learning communities in such a way that the children's world always has a sense of the world beyond while still maintaining safe, scalable classrooms. 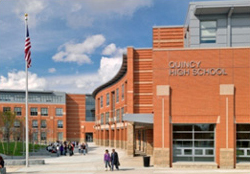 "an interactive, flexible solution on a compact site"
"Providing varied places and spaces, the new Quincy High School reflects two growing priorities: smaller scaled learning environments and schools as centers of community." 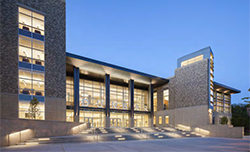 "a versatile design where old meets new in harmony"
"The School seems to understand community needs and provide space for the community. The Restaurant, etc. is not often seen at HS level and is an unexpected and welcomed offering. Front court seems welcoming and engaging. Internal street on campus seems to be in line with the surrounding area. The project seems active and engaging"
"Designed as a school which is also a teaching tool, the ability to see all of the different activities and be engaged with the overall learning environment is to be applauded." 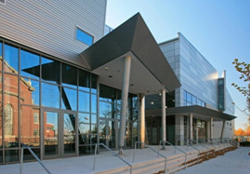 "on the cutting edge of the future"
"engaging, good use of materials and natural light. Good use of sustainable strategies." "I met Ed Kirkbride in 1998. I was immediately struck by his commitment to serve the educational community, the insights from his proactive process, and the sense of wonder that he always associated with the joy of learning. The Safari Greenhouse represents all of these values. I applaud all of the participants, Cause and Effect Evolutions, Brighten a Life Non Profit Foundation, and Burt Hill a Stantec Company for their efforts in providing this outstanding community resource." "a little school with a big "green" punch"